Karmic Soul mates are two individuals who have come together during a given lifetime to heal something from a past life or previous lives. Their relationship with one another can be very profound and loving, or it can deteriorate into the same negative situation that was created in a previous life. Another possible outcome is that the karma may only be partially resolved, leaving both with more work to do during this or some future life together. All the negative karma we’ve incurred during any of our previous lives will eventually be healed through decisions that are based upon unconditional love and forgiveness. This will not happen because we are forced to do so as a form of punishment. Rather, our choices to bring healing will be based upon free will, which we and we alone will make. This is what the universal law of karma is about. And we will have as many lives as we need to eventually balance all we have caused others to feel through fear, anger, hatred, bitterness, jealousy, and other ego-based choices. Soul mates are drawn together because they are simultaneously working on the same type of karma, sacred labor and the same chakra (spiritual centres within the body). 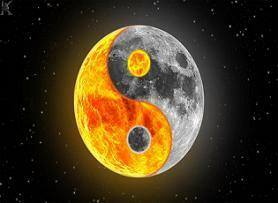 Karmic relationships involve two individuals who are drawn together for the balancing of mutual karmic debts. These relationships are often difficult but they are important to making progress on the spiritual path. If married, the couple can make good karma for bringing forth and nurturing children. Some of these marriages may provide opportunity for balancing serious karmas like murder, betrayal or extreme hatred from a previous lifetime. Very often the only way we can balance these serious karmas is by the love expressed through the husband and wife relationship. Note that these relationships can often begin with the most intense love or desire, which early on can be mistaken for the twin flame relationship. To meet your twin flame while you still have karma may simply lead to another parting, without the knowledge of spiritual laws on how to balance this karma and the dedication to apply these laws. 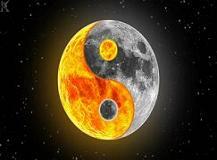 The twin flame, or perfect love, is born out of the original white-fire ovoid. This is an ovoid of light in which you are created in the Central Sun, the highest concentration of pure Spirit in the universe. God takes t he ovoid and he makes out of it two spheres of light. We all started out in golden ages long ago with the perfect person, the twin flame, but then we started making karma. We descended into the lower octaves, we were separated from our twin flame. We lost that physical manifestation of the divine counterpart in heaven, and then we bagin creating obligations with other people. And this is why embodiment after embodiment we are married to different people. Some may be soul mates, some karmic relationships. And hopefully we make the best of it and share a love that will achieve a particular purpose and also balance karma. The law of Karma demands we go back and fulfill our responsibilities first. It is always your first obligation. It can take you away from your twin flame for lifetimes. And the goal is to balance that karma, become purified on the path of the Holy Spirit, attain reunion with God and the twin flame, and climb back up the ladder of life to the Source whence you came. And this is the long story of the lost word being found again. The Law of Attraction and Love says that 'like attracts like'. It means that whatever your predominate thoughts are will show up as people and experiences in your life. I used to get really angry with this idea. The people in my life were not the kind of people I wanted. The experiences in my life were not the experiences I wanted! Why couldn't I seem to get this attraction thing to work for me? Why couldn't I make things come out differently? What was wrong with me? read more..